A. One time per Month Pool Cleaning Service – includes up to 30 minutes of time on site per month. This service is best suited for indoor pools. 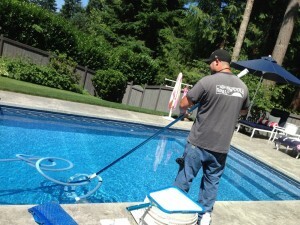 B. Bi-Weekly Pool Cleaning Service – includes 1-1/2 cumulative hours on site per month. This service is also best suited for indoor pools or pools that are well maintained by the homeowner between our visits. 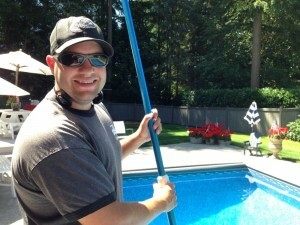 C. Weekly Pool Cleaning Service – includes up to four cumulative hours on site per month. D. Year Round Pool Cleaning Contract – Weekly during the summer months May 1st through September 30th which includes up to five cumulative hours on site per month. Bi-Weekly during the winter months October 1st through April 30th which includes up to three cumulative hours on site per month. This is our most popular service. A. One time per Month Spa Maintenance Service – includes up to 30 minutes of time on site per month. B. Bi-Weekly Spa Maintenance Service – includes 1-1/2 cumulative hours on site per month. C. Weekly Spa Maintenance Service – includes up to three cumulative hours on site per month. We can also provide custom schedules and pricing for commercial properties and those locations that require more attention and care. Contact us today.